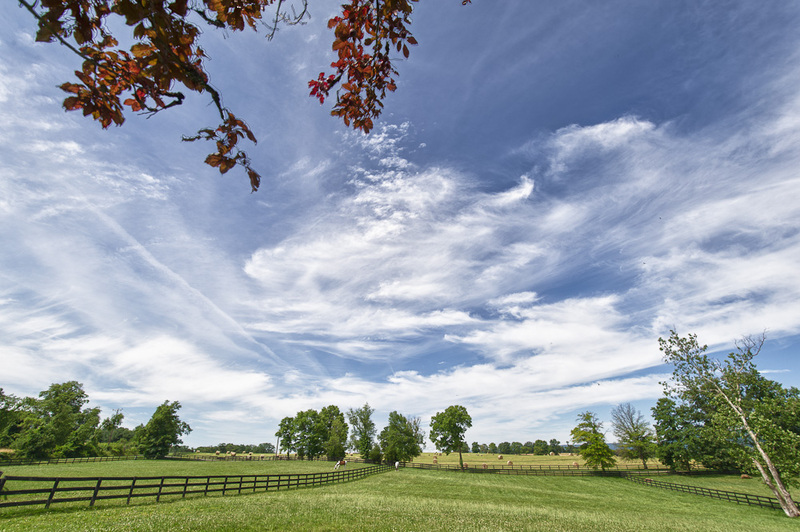 We’ve had remarkable weather the past few days, and I’ve taken my wide-angle lens with me on my travels to capture the cool cloud formations and other landscapes that catch my eye. Today, when I stopped by the farm, Teddy was out grazing with one of his buddies so I spent some time photographing them. So far, all but two days of June have featured below average temperatures, so the grass has remained lush and green. I enjoy observing the horses out in their natural environment, and it’s especially gratifying when it’s as beautiful as it is at Hidden Hollow. This is truly a wonderful sight !!! Thank you, David! I love to see horses grazing, too! That’s one of those pictures that I call printable, frameable, and hangable.